4impact! 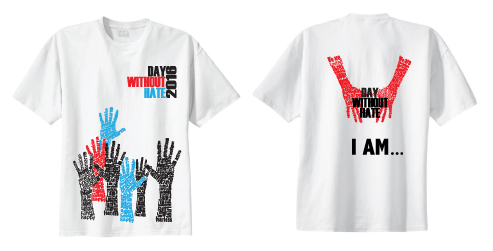 is honored to be involved with A Day Without Hate (DWOH), a student led, grassroots organization that promotes nonviolence, respect and unity in our schools. 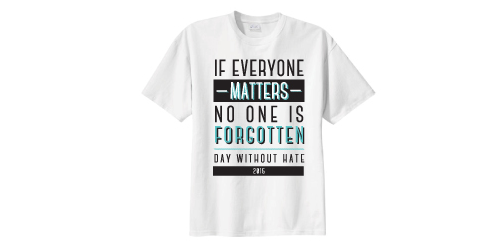 After the Virginia Tech shootings in 2007, students at Standley Lake High School in Broomfield, CO asked their classmates to wear white in order to show a commitment and trust in each other to make their school a safer and more peaceful place. 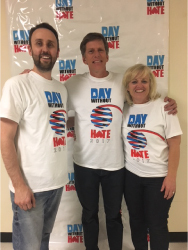 The first Day Without Hate (DWOH) was an overwhelming success. 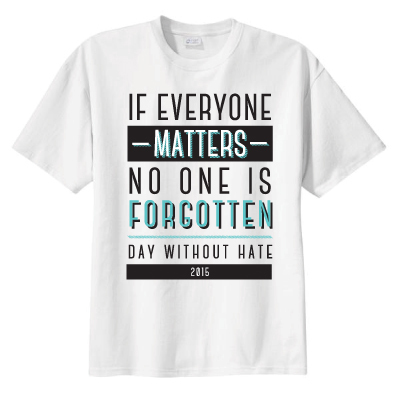 Since then, students across Colorado and the nation have taken this incredibly positive day to their communities to say that we will not tolerate violence or hate. The owners at 4Impact heard about the event and its message and immediately wanted to be involved. 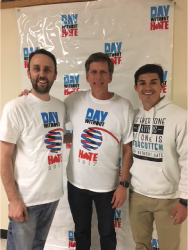 4Impact owner, Stephen Holmes, suggested they create a Day Without Hate t-shirt each year, where proceeds could be donated back to the program. This idea quickly took root. 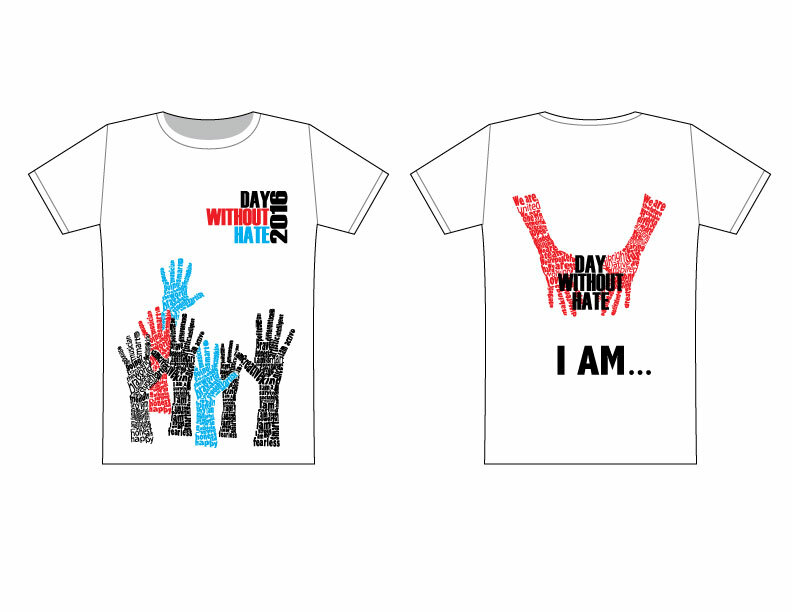 Students are invited to submit artistic DWOH designs, with the winning design being placed front and center on each DWOH t-shirt. This art contest has become an annual tradition. 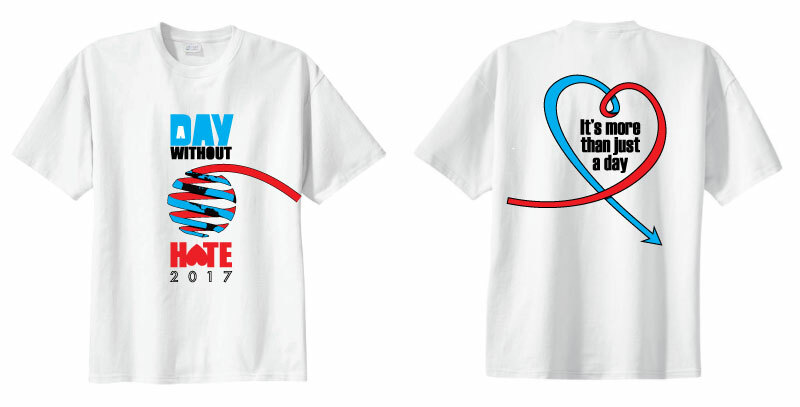 Proceeds from t-shirt sales pay for the annual DWOH Rally held in April, school grants to support the cause as well as DWOH Peace Scholarships. Graduating seniors throughout Colorado are invited to apply for the DWOH Peace Scholarship each year. Eight students are then selected from the many applicants and each receives a $1,000 scholarship that goes towards tuition at the college or university they will be attending. These are students who have worked tirelessly to make their schools more peaceful and respectful, as well as making their communities more unified. Over the years, 4impact! has made it possible for over 60 students to receive such scholarships. 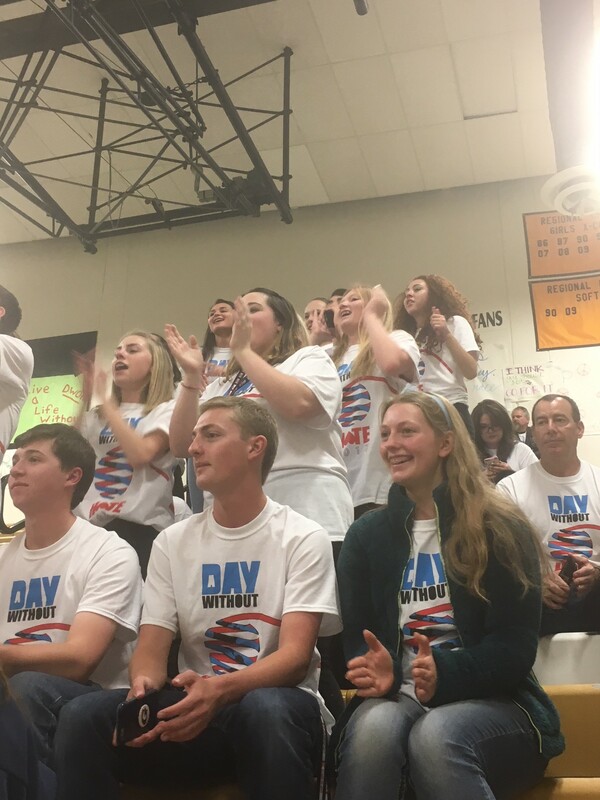 Over 15,000 shirts are sold annually and worn at schools throughout Jefferson county and now throughout the United States on the last Friday in April. Students have taken the idea with them to college and have started clubs. 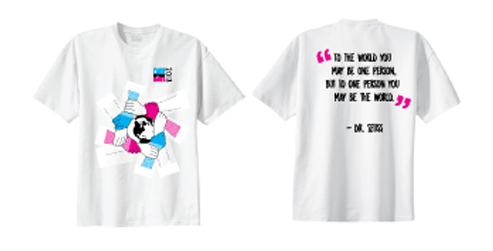 Other schools and organizations throughout the US have also become involved to promote tolerance and acceptance. Combined with the scholarships, 4Impact donates approximately $15,000 a year, representing an overall contribution of more than $100,000. 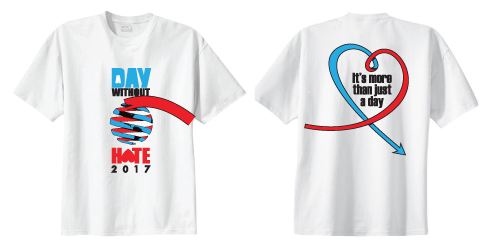 If you would like to see how you can get involved, please visit www.daywithouthate.org. 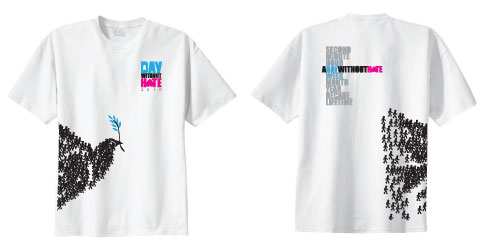 If you’d like to purchase t-shirts, visit www.daywithouthatejeffco.com. 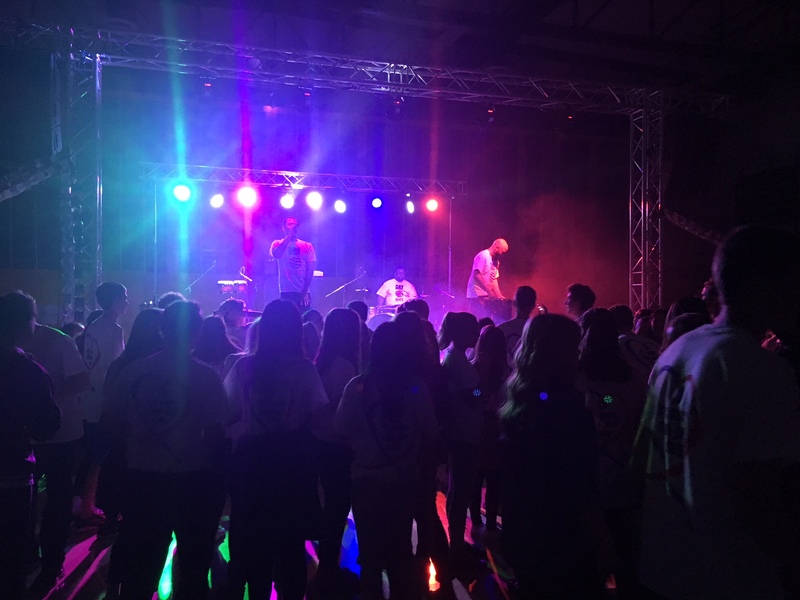 The annual Day Without Hate rally is open to all high school students and features live bands, guest speakers, incredible student talent and an unparalleled energy of peace, unity and respect. 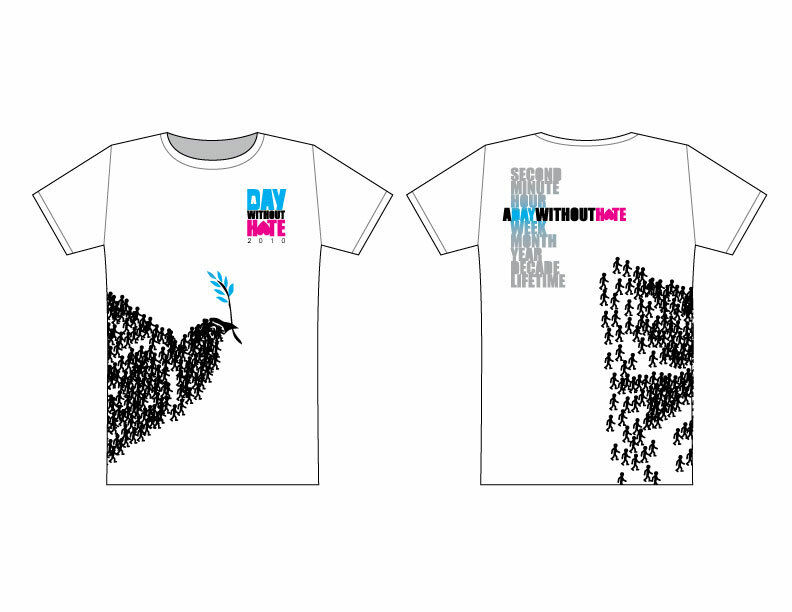 The event caps off DWOH each year, celebrating everything that is right in public schools. 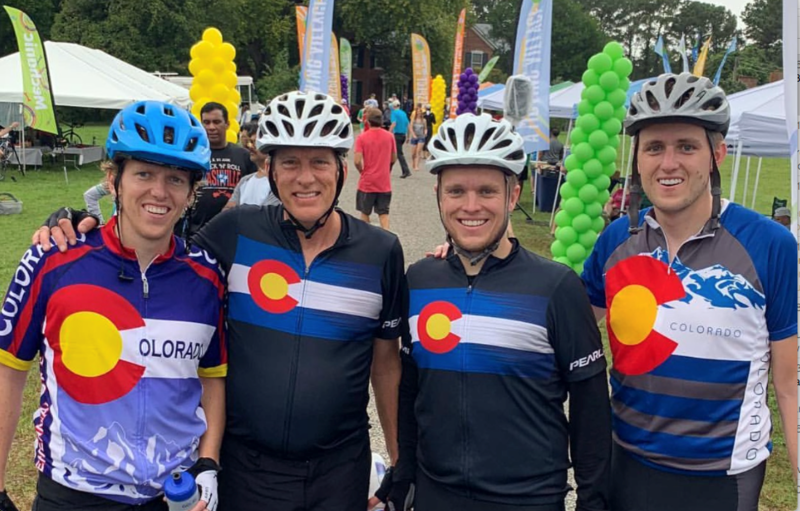 Every year, approximately 600 DaVita teammates, physicians, patients, family members and friends of DaVita, pedal their way across 250+ miles in a different part of the country during a three-day cycling adventure. It’s their way of helping to bring quality health care to those in need while promoting a healthy lifestyle and having fun! This past year the Tour benefitted Bridge of Life, a nonprofit organization that improves access to primary care and dialysis treatment in underserved communities around the world, while also focusing on prevention of kidney disease through early-detection testing and education. So what does the DaVita Tour have to do with 4Impact? Improving access to kidney care is a cause that hits close to home for owner Stephen Holmes and his family. In 2010, Stephen Holmes got a new lease on life when he received a kidney from his brother-in-law. Stephen was in kidney failure, resulting from Polycystic Kidney Disease (PKD), the 4th leading cause of kidney failure. Statistically, there is a 50/50 chance that Stephen’s boys will have this same disease. Knowing this, it is easy to understand why Stephen and his family believe in the cause that DaVita has undertaken. They are proud to be a part of the changes being made, and to help create a better and happier place for those in need. Stephen has volunteered his time for the past 15 years as an active volunteer in the local Boy Scouts of America Troop #59. Stephen is currently serving as the Scoutmaster, the adult responsible for working directly with the Boy Scouts, helping them to become leaders themselves. The Scoutmaster is a mentor to the youth and provides continued direction, coaching and support. Stephen’s favorite part of being a Scoutmaster is spending time with the Boy Scouts on monthly campouts and helping them plan and execute a High Adventure experience each year. These camping and adventure trips provide memories for the Boy Scouts and foster development in character and leadership. 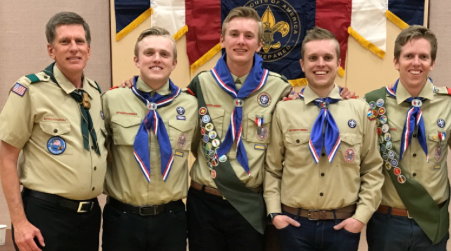 Stephen also enjoys helping each Boy Scout advance through the ranks of Scouting, ultimately qualifying himself to receive the rank of Eagle Scout, the highest rank in Scouting. Stephen’s five sons have all achieved the rank of Eagle Scout. Carolann volunteers as a CASA worker in the Jefferson/Gilpin Counties. 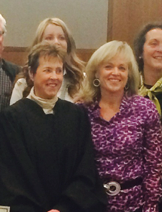 CASA volunteers are appointed by judges to advocate for the best interests of abused and neglected children. As a CASA volunteer, Carolann is responsible for getting to know the children by spending time with them, as well as talking with everyone in their lives: parents, relatives, foster parents, teachers, medical professionals, attorneys, social workers and others. Carolann then uses that information to inform judges and others of what the children's needs are and what will ultimately be the best permanent home. In order to become a CASA volunteer, Carolann completed a 30-hour pre-service training, passed a background check and agreed to stay with each case until it closes (a year and a half on average). For more information on becoming a CASA volunteer, go to www.casaforchildren.org.